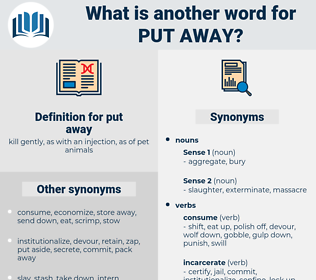 What is another word for put away? free, give birth, refrain, abstain, liberate. 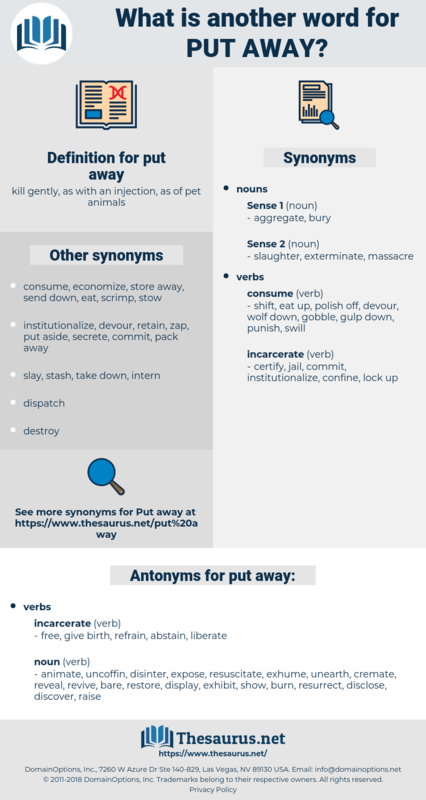 animate, uncoffin, disinter, expose, resuscitate, exhume, unearth, cremate, reveal, revive, bare, restore, display, exhibit, show, burn, resurrect, disclose, discover, raise.